I don't really get the Galaxy nail trend. They do look pretty cool, I guess it's just not something I want to wear for more than a day. My biggest issue with galaxy nails is that it usually doesn't end up looking like a galaxy or even outer space at all. Interesting sponging? Yes. 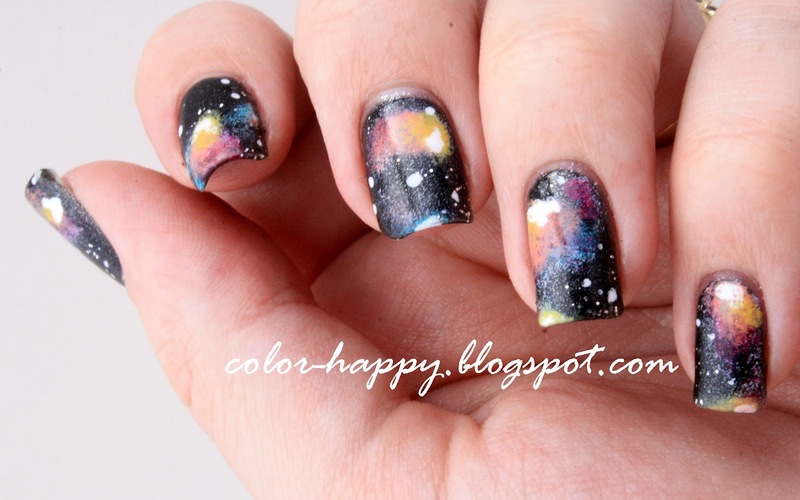 Galaxies? No. That said, here's my attempt at it. 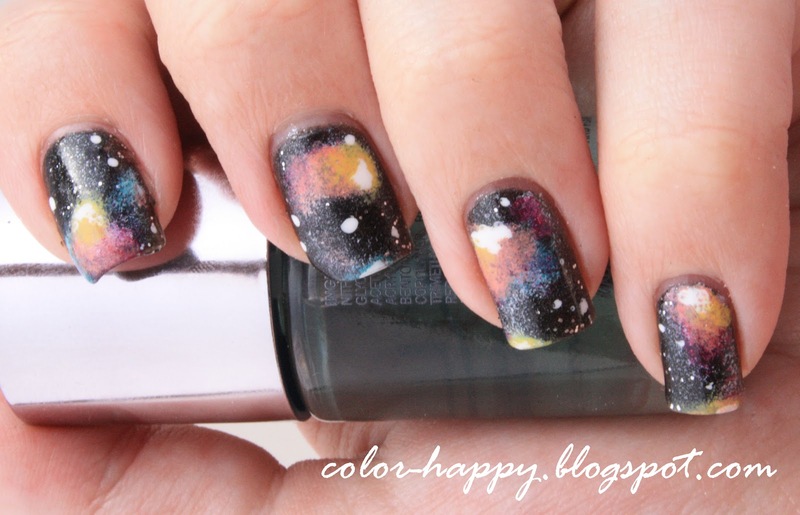 I went with more of a nebula look instead of galaxies. I might have been more happy with these if I had used a solid black as the base. I used Sally Hansen Black Diamond thinking it would give a "field of stars" effect. Fail. It just made everything grainy. To be honest, I'm not too happy with Black Diamond itself. It doesn't have nearly the sparkle it shows in the bottle and even with a nice, thick, shiny topcoat like Seche Vite, it looks grainy and dull. I did totally get into the mood while doing these, though. 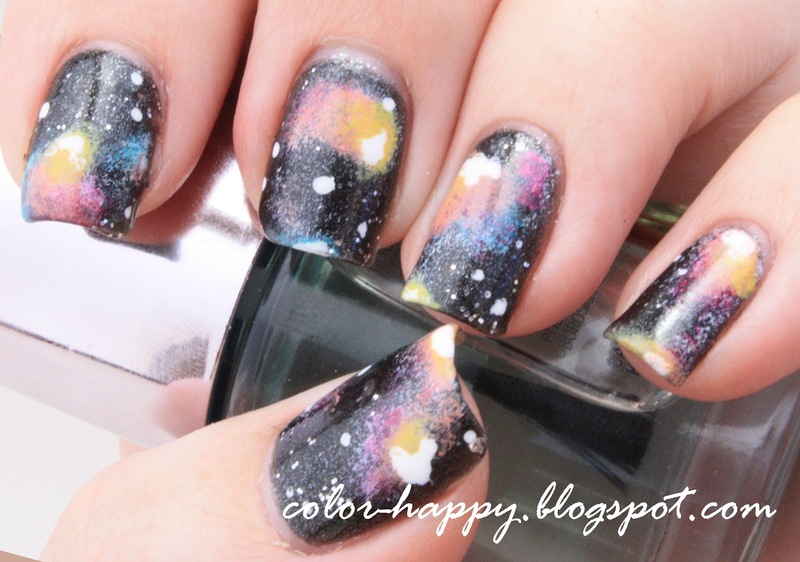 I was watching Star Trek with my husband and later tried to paint a tiny Enterprise on one nail. It ended up as a big silver blob because I was rushing, so no pictures of that.